I need to have a go at these triangles. Thanks for sharing the instructions. I was lucky to be sent two fat quarter packs by UKQU to review. So a big thanks to The Craft Cotton Company for supplying UKQU with them. Fantastic creativity to eke out every last lovely inch of these charming fabrics, such a wonderful thing you have done by making it for the Quilts for Care Leavers project (Q4CL). 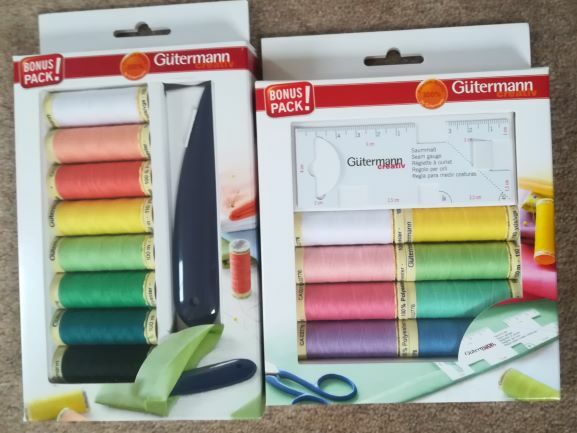 The lovely people at Gütermann kindly sent me two of their ‘Bonus Pack’ of threads to review. Thank You Gütermann. Their website is here, and their Facebook page is here. Fab weekend. Great people, great sewing, great food. Sounds fab, hope you’ll share pics. Everyone I’ve ever seen from a Scrap bag were Rail Fence! will see you there Denise. Yes, it was done by hand. 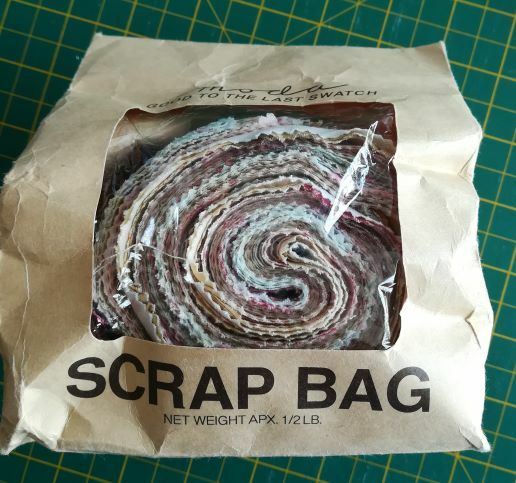 But scrap bags just beg you to do something different! I am in the middle of a birch tree quilt made with 3 scrap bags-tiny edges and selvedges cut off jelly rolly and charm packs. Very very cheap but lots of fun. 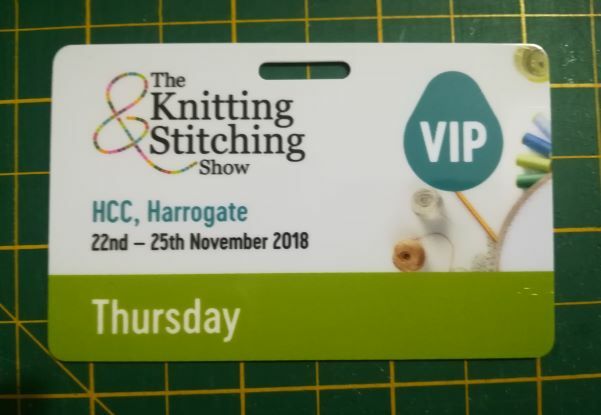 Have you ever been to the Knitting and Stitching Show? If not, you’re missing a treat, and if you get the chance give it a try. Lovely. I think I will go VIP next time as I struggle to find somewhere to relax. and by the end of the day with heavy bags it gets harder. I too loved Jenni Dutton’s work, it was so moving and to think it was done by hand on netting. It’s so easy to forget something. One day I will have a bag that I just grab and go, and always has everything in it. 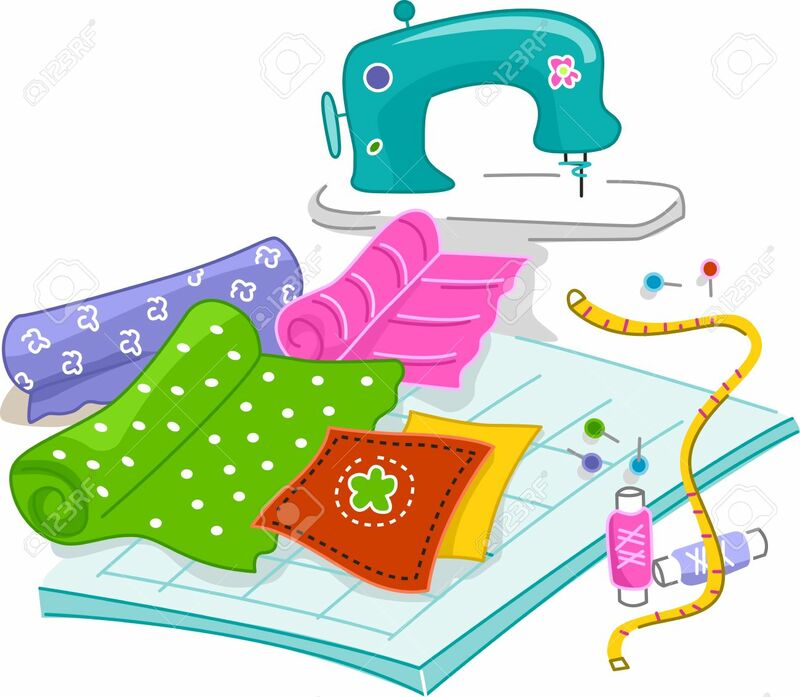 Have you been playing away at that sewing week/sewing retreat/workshop? Thank you! I should print this out and put it on my wall. I always forget something when I go to my sewing group. 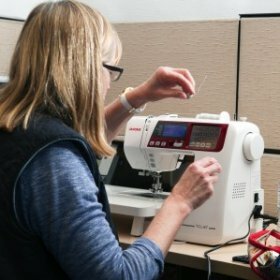 If it is not thread, it is needles, or binding, or templates…. So, you’ve got your fabric and you’re ready to make your quilt. Are you in the ‘wash it first’ camp, or the ‘just get on with it’ camp?